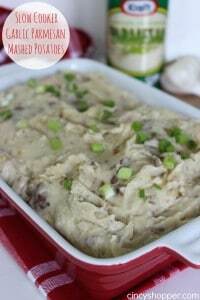 This Slow Cooker Garlic Parmesan Mashed Potatoes Recipe is going to be perfect for upcoming holiday cooking. 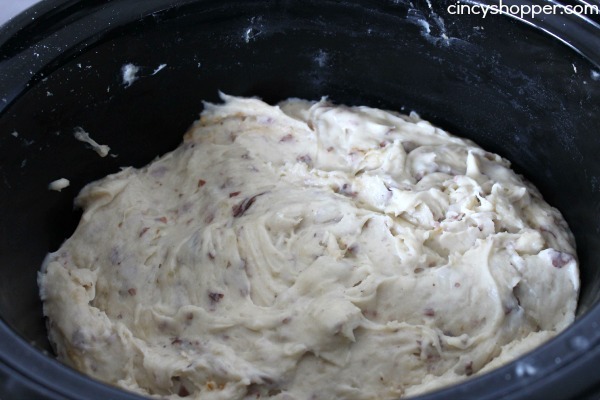 My hubby decided he was going to test making our dinner mashed potatoes last week in one of our Crock-Pots. I was a bit skeptical! But these Crock-Pot Mashed Potatoes turned out wonderful. He loaded them up with perfect garlic and parm flavors. During the holidays cooking potatoes on the stove top can be a real pain. 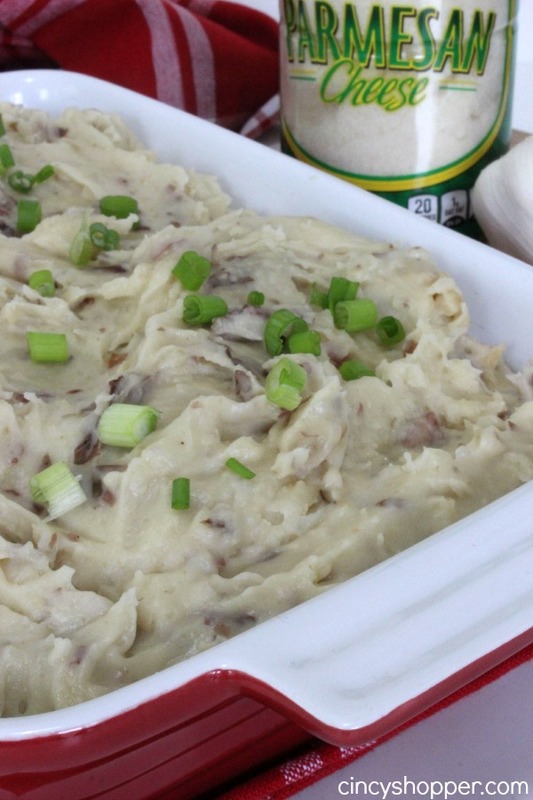 Cooking our mashed potatoes is always the last item we are waiting to finish cooking for our holiday dinners. The mad rush to mash the potatoes is no longer, ha ha. Now we can prep them and have them cook throughout the day. 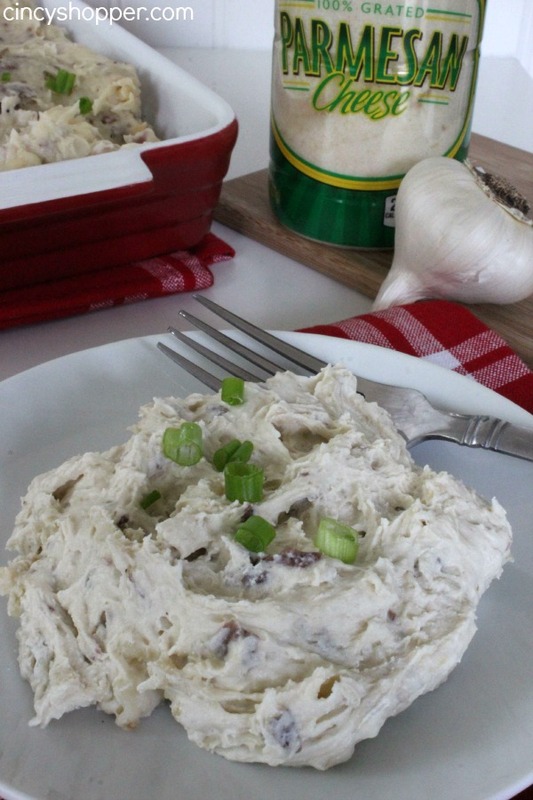 These Slow Cooker Garlic Parmesan Mashed Potatoes will be a great side to your weeknight meals when looking to prep ahead. Or perfect for a make ahead holiday side. 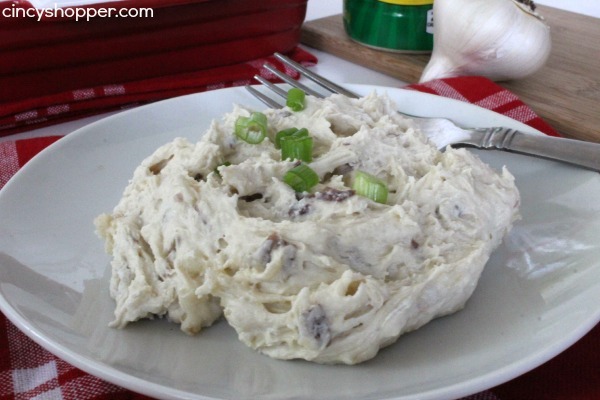 The ingredients for these Slow Cooker Mashed Potatoes are quite simple. 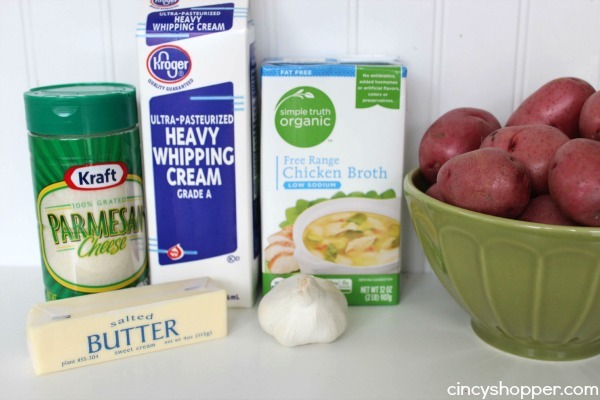 Grab your potatoes, broth, butter and Heavy Cream. Add in some garlic and parm to make your potatoes over the top tasty! Peel garlic cloves and place in slow cooker. 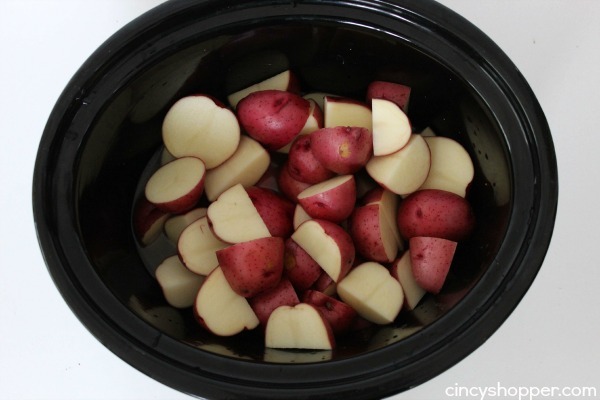 Chop potatoes into 1-2″ pieces and add to slow cooker. Drain potatoes and reserve liquid. Put potatoes back in slow cooker and mash. Heat cream and butter until hot and butter is nearly melted. Add cream mixture, parmesan, salt and enough of the reserved liquid to reach desired consistency. 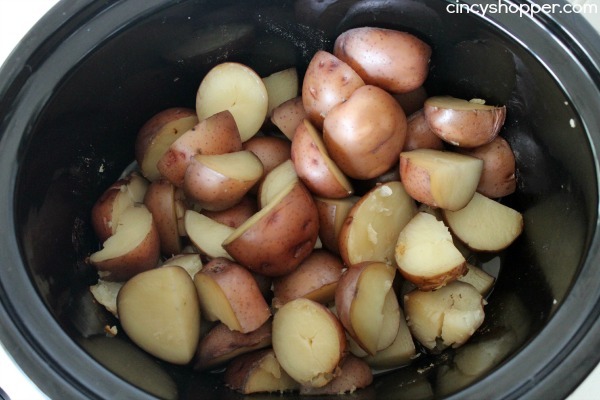 Chop potatoes into 1-2" pieces and add to slow cooker.